They have been sitting in my studio waiting for me to do something with them since then. Today I decided to make some pendants so I can string the beads into necklaces with an interesting central piece. 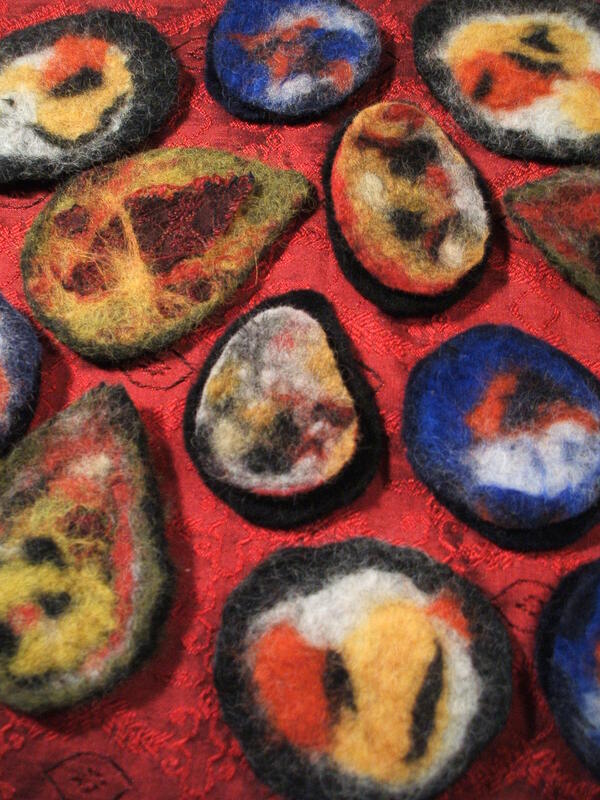 It took me a while to work out the correct size and thickness of felt to use and I’n still not sure I have cracked it – watch this space…. So now I’m off to soak them in PVA and set then to dry. Then maybe I will finally stop putting off the necklace making process and get my needle out! !